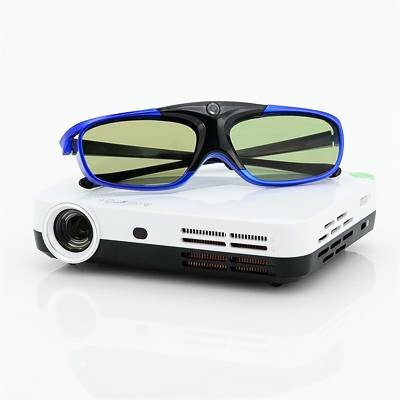 Successfully Added 3D LED Projector - DLP Technology, Android 4.2 OS, Quad Core CPU, 8GB Internal Memory, LED Projector, Wi-Fi Support, 3D Glasses to your Shopping Cart. This 3D projector has DPL technology and 3D functions so you can turn a regular 2D movie into 3D, for an ultimate viewing experience whether you’re at home, school or the office. This compact little box is easy to transport and setup as it comes with all the necessary wires and connections in addition to coming with a stand; therefore you can quickly set up a cinema with minimal commotion. Once it has been set up, you can enjoy images up to 180 inches which is over 4.5 meters across. For something that's weighs in at less than 500 grams and measures only 20 by 16 centimeters, that is not a bad projection at all; therefore proving that size can be deceptive when it comes to quality. Due to the compact DPL technology, you get a convenient sized LED projector, but without any reduction in quality as this has a crystal clear image at a 1280x800 resolution. Bring the projection to life with the included 3D glasses. 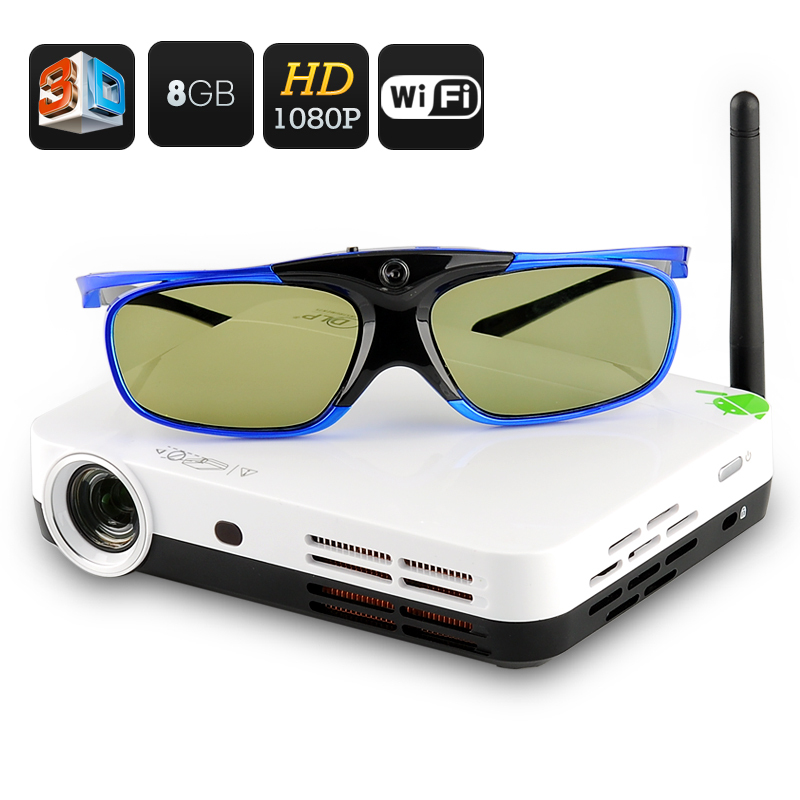 This LED projector also has Android 4.2 built-in and with wireless connectivity you can set this up as your ultimate home cinema and connect to you home Wi-Fi so as to play movies from other devices in your home network. Store movies, film and other content on the projector’s 8GB of internal memory or alternatively you can use the USB port or SD cards to connect a flash memory pen or SD card, which you can play from directly. Use the wide range of ports such as HDMI, USB and AV to hook up your game consoles, blue ray players, set top boxes and surround sound system so there are loads of options with this 3D Projector allowing you to enjoy cinema quality films without having to leave your house.